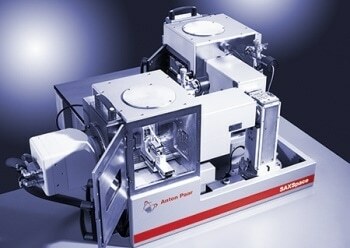 Anton Paar’s SAXSpace small-and wide-angle X-ray scattering (SWAXS) system has been specifically developed to characterize nanostructured samples and materials. 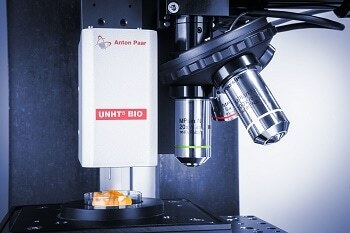 The device is capable of measuring the shape, size and size distribution of nano- sized sample and particle domains, and is perfect for studying biological (Bio-SAXS), colloidal, and isotropic samples. 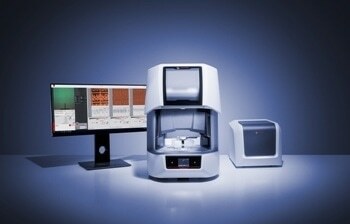 The SWAXS system also provides a range of accurate and versatile sample stages that can be extended to all SAXS applications. 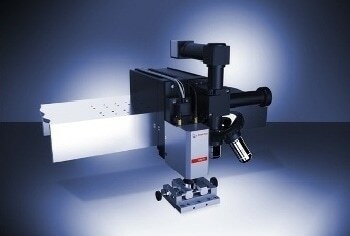 It provides easy handling and automatic alignment to ensure smooth and error-free operation. 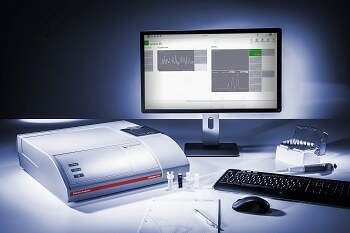 The rugged design combined with short measurement time and high system uptime ensures high-quality WAXS or SAXS results as well as high sample throughput. 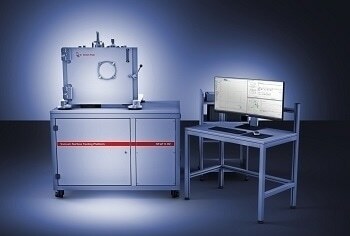 These features make SAXSpace suitable for studying nanostructures in a wide range of materials, such as nanoparticles, polymers, foods, proteins, pharmaceuticals, and surfactants. 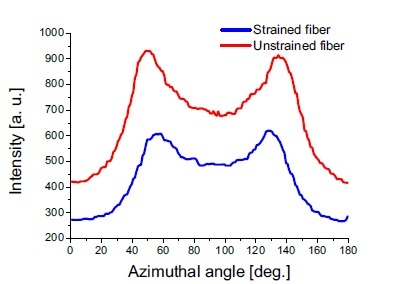 Microfibril angle (MFA) in coir fibers during tensile straining was examined using the SAXSpace system operated in point collimation mode in combination with the integrated TS 600 tensile stage. During mechanical tests, structural changes in complicated materials can be defined. Lignocellulosics is a key structural feature of natural fibers and wood. MFA in lignocellulosics represents the angle of the helical windings of cellulose microfibrils in the secondary cell. Nature can modify the MFA to improve the tissues’ mechanical properties, such as fracture stress, strain, and Young’s modulus. A common natural fiber, coir fiber is acquired from the coconut’s mesoscarp. It is mainly composed of cellulose and lignin, and is optimized for a maximum fracture strain. Hence, the fiber has the highest possible MFA of approximately 45°. 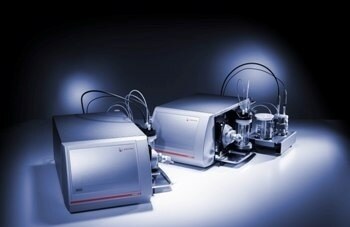 Previous studies have used synchrotron radiation to analyze the coir deformation behavior under tensile stress. These studies have demonstrated that the MFA of the cellulose fibers is directly proportional to the degree of the applied strain. 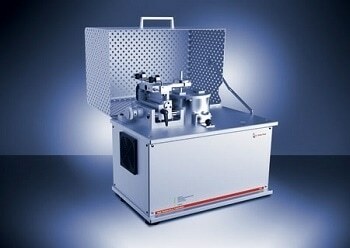 The same experiments were again performed using the SAXSpace system with a built-in TS 600 tensile stage. 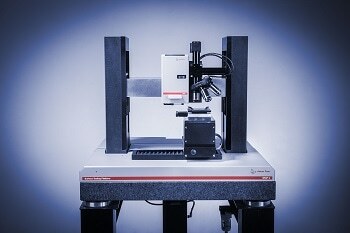 Coir fibers (identical to those studied in a previous experiment) were fastened on a plastic support and placed onto the TS 600 tensile stage. 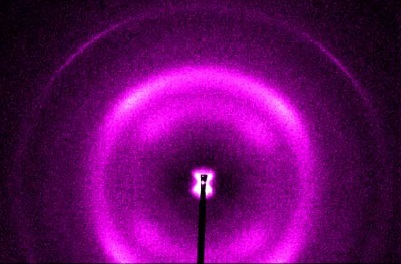 Though the SAXSpace system operated in point-collimation mode, 2D diffraction patterns of separate fibers at different levels of strain were obtained. Next, the signal was collected in wide-angle mode, as and when the cellulose fibers diffract at large diffraction angles of 23°. Using the SAXSquant software package, the resultant 2D diffraction data of individual strain level was azimuthally combined with the De-bye-Scherrer rings of the cellulose 200 reflections. In the case of the unstrained fiber, the MFA between the cellulose fibers was observed to be about 45°. Upon stretching the fiber, there was not any major difference in the MFA until a 3% strain was reached. Over this threshold, the MFA between the cellulose fibers was found to reduce significantly. For about 7% strain level, the MFA was reduced to a value of 38°. Figure 2. Azimuthal integration along the 200 reflections. The position of the maximum is shifted to the center for the strained fiber. 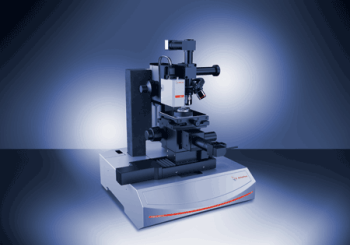 The study has documented that the use of the SAXSpace system combined with a built-in TS600 tensile stage provides a suitable option for on-site analysis of structural changes that occur in a wide range of materials during mechanical tests. 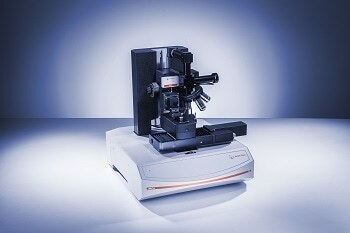 This way, the relationship between the structure and the property in thin foils of metals, polymers, and biological materials can be investigated under suitable laboratory conditions.